Grounded Sports Performance Training is a progressive Atlanta Based training company the helps people improve their strength, conditioning, and imbalances to perform better in their game. Before I share with you the Top 10 Body Transformation Tips I have a time sensitive message for you. This week is the LAST CALL for you to enter the Turbulence Training Transformation Contest. 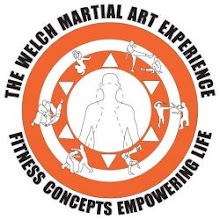 Here is your link to the TT Transformation Contest rules and prizes. The last day to begin is Saturday, September 18th. If you want to lose fat and gain lean, sculpted muscle at the same time, there is nothing better to get you motivated and committed than a 12-week Transformation Contest. Not only can you dramatically change your body, but you can also win $1000 just for losing belly fat. At least, you can when you join the Turbulence Training Transformation Contest. Now for the tips and free Turbulence Training Workout. For more details and the over 5 tips that will transform your body helping you lose fat and build muscle visit the full post. Have a quick post for you about strength training for football. There is no question that strength training for football is needed, and in a huge way. All football players from the linemen to the kicker need to a strength training program specific for football. The problem comes with the ability to design and implement a strength training workout program for football. Without question there is a fine art and science in designing a strength training program for football or any other sport. The other day i came across a great article that has a bunch of quick facts needed when planning a strength training workout program for football. Click the link below to ensure your football strength training is on track. Total Football Training Sale ends on July 31! 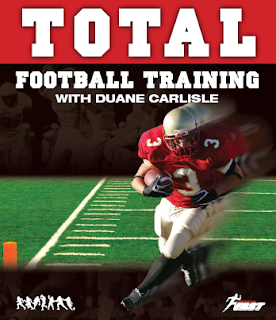 Just a quick reminder that you can still save $100 on NFL Coach Duane Carlisle's Total Football Training system. Perfect football training for NCAA football player or high school football. But the offer only stands until midnight on July 31. For NCAA football training camp is about to start. Even if your focus has shifted to inseason preparation, developing speed, strength and power is crucial to your team's success. Even during the season. If you wait until midseason to realize your players are suffering from nagging injuries or they're gassed in the fourth quarter, much of the time you've spent in preparation will have gone to waste. And that's in addition to the fact that your team will be flat out slower, weaker and less conditioned than your competition. So grab a copy of Total Football Training now, save $100 and, more importantly, give your team the tools to to meet the standards of excellence that define your program. If you are looking to increase your bench I just put up a free report with 7 tips that you can put into use right away. Download it from the link below. Duane Carlisle is the Head Strength & Conditioning Coach for The San Francisco 49ers and he take Frank Gore through some football hill training. Do you want to dominate opponents! To do so means more than just adding another layer to your offensive/defensive schemes. Continuous development of speed, strength and conditioning will make the difference in playing time for individual athletes, as well as wins (and Championships) for the team as a whole. Because programs that win year in and year out know that superior athleticism is the key to becoming dominant... and maintaining it. Duane Carlisle. Coach Carlisle has coached at the youth, high school, collegiate and professional level for over 20 years. That's why I'm excited to let you know about a TeleSeminar Coach Carlisle is running this Monday, July 20. He's going to be answering *your* questions about training in a Live, 'no holds barred' call sure to change the way you think about developing football specific athletic skill in your athletes. The entire call will be dedicated to answering your questions about developing the speed, strength, power and conditioning of all the players on your team, from lineman to wide receivers and defensive backs. If you coach football, train football players or are the parent of football players, I highly recommend you register for this call, submit your question and implement the answers. Because you know full well that if you don't, you'll fall further behind the thousands of coaches, trainers, parents and players who do. I can't remember the last time the Head Strength and Conditioning Coach of an NFL franchise held such an event, for free. And I don't think you'll want to miss out on the chance to make major improvements to your program. So register now, submit your question and get ready for your most successful season yet! If you are using or thinking of adding bands or chains to your workout I suggest you read this post by my buddy Jason Ferruggia.